CheerpJ 1.2 can be downloaded here, with the main Documentation available here. This release introduces two features which have been highly requested by our commercial users: an integration with ProGuard to allow major reductions in startup time and download size, and full integration with the system clipboard, allowing to copy and paste between the browser and the system. This release introduces further optimisations to memory use, size of generated code and networking. ProGuard can automatically trace the classes used by an application, and generate a minimised version of a Java archive in which unused classes, methods and fields are automatically purged. This usually leads to a very significant reduction in the size of the package, and to a startup performance speedup, especially when multiple third-party libraries are used. Since CheerpJ fully supports runtime reflection, ProGuard may end up removing used code, causing unexpected errors at runtime. method can be used to generate a configuration file (cheerpj.pro) that can be used with ProGuard. For more details, including a step-by-step guide on how to optimise a CheerpJ application with ProGuard, you can check our Documentation. By default, CheerpJ provides an internal clipboard (local to the converted Java application) that can be accessed with the usual Ctrl+C / Ctrl+V (or Cmd+C / Cmd+V) shortcuts. This clipboard is not normally integrated with the system, and therefore copy-pasting from/to other applications or browser tabs is not allowed. 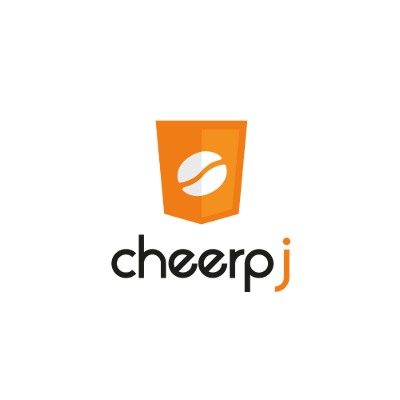 CheerpJ 1.2 introduces a new system integration, to be enabled optionally, which allows a CheerpJ application to interface directly with the system clipboard. Browsers enforce serious limitations on how the system clipboard can be accessed. In practice it is generally accessible when the Ctrl+C and Ctrl+V shortcuts are used (Cmd+C and Cmd+V on macOS). Ctrl+C (Cmd+C on macOS): the user has to enter the shortcut twice to give CheerpJ access to the system clipboard and perform the copy (after keying in Ctrl+C the first time, CheerpJ will block the execution while waiting for the second Ctrl+C). Ctrl+V (Cmd+V on macOS): this shortcut behaves normally, with no difference with native execution. Menu based Copy/Paste: Ctrl+C/Ctrl+V are needed to access the clipboard. CheerpJ will block the execution while waiting the appropriate shortcut. In future version of CheerpJ, we will add an additional clipboard mode to take advantage of a the new permission-based browser API for clipboard access which is currently being standardized. This future mode will provide native like user experience in all cases. Cheerp 1.2 is available to download for Linux, Windows and macOS. To get started with CheerpJ, please visit the main documentation page.